News - Fair By Design News - Fair By Design . A start-up born out of the Founders Factoryincubator programme, it has built a tech platform for carers and families to improve the monitoring aspect of care provision. OnCare’s app works both online and offline. Carers use it to store notes about clients, read up on those they are visiting that day, and as a way to raise the alert if anything is wrong. Families receive text notifications and can log in to their own version of the app to see how care for their family member is proceeding. OnCare’s CEO Alastair Cohen sees the start-up as less like Cera’s Uber-esque and more like the Zoopla model. “We want to empower everyone – offline and online care-providers – with the tools to deliver fantastic personalised care,” he tells the Standard. Then over in Ireland, Kraydel has created an internet-connected device that enables the individual to support themselves in their own care journey. The Kraydel device is a set-top box that sits on top of the TV as a connected device linking clients to their carers, family members or friends through their TV screen. “We call it FaceTime for TV, just a hands-free version of FaceTime on the big screen at home,” explains Kraydel’s CEO Dr Lisa Smith. After initially experimenting with iPads, Kraydel’s team realised that creating a TV-linked device would be more accessible for older patients. “It’s a really familiar technology, with easy-to-use buttons in a non-threatening way. “All of the stuff we take for granted through our smartphones, we can bring through to the TV in a simplified, easy way,” adds Smith. Why is this technology useful for social care? As the companies are tackling different aspects of social care, the technology they are developing is targeting these issues in specific ways. OnCare’s mission is to remove the over-reliance on paperwork in the industry, by making everything digital. It stores records safely so care agencies can be GDPR compliant. As well, it is also saving its care workers time so they can focus on their clients more. Indeed, one care worker said that on the first day of using OnCare it saved him at least 20 minutes. 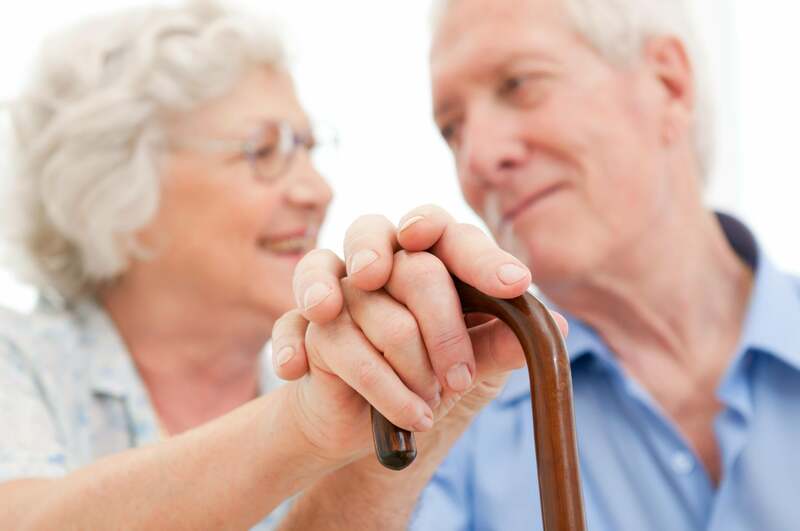 “There’s a lot of money in social care, but it’s currently being used so inefficiently. We want to add the tools to make the money be used way more effectively in the process,” says Cohen. With Kraydel’s device, it provides teleconferencing so care clients can speak to their care workers from the safety of their armchairs at home. It also hopes to facilitate through it, a sort of social network for elderly people, so they can “FaceTime” each other, hold prayer meetings or even book clubs from their homes. Kraydel hopes this will tackle some of the underlying problems that come with getting older, namely isolation and loneliness. For all these companies, transforming the social care sector was inspired by their personal experiences of care. Cera’s Maruthappu and OnCare’s Cohen say they both faced difficulties when it came to the care of their grandmothers. “When my grandmother was receiving care you had no idea when the person was arriving or leaving, what services are being delivered and it was a revolving door of different carers coming in and out,” says Maruthappu. Cohen says his family faced “road bumps” but it was during his initial research of the sector that he came across horror stories. “There are problems on all sides: [on] finding the care side and [on] the care delivery side,” he says. Considering the problems the care sector has it, it doesn’t really have a choice but to embrace technology. Government tech accelerator programme Public.io’s chief strategy officer Max Chambers, which has invested in Cera, said start-ups are increasingly vital in tackling the social care crisis. “[It’s about] giving control and choice to elderly people and their families, enabled by good technology,” said Chambers. These companies can see they’re already on to a winner. 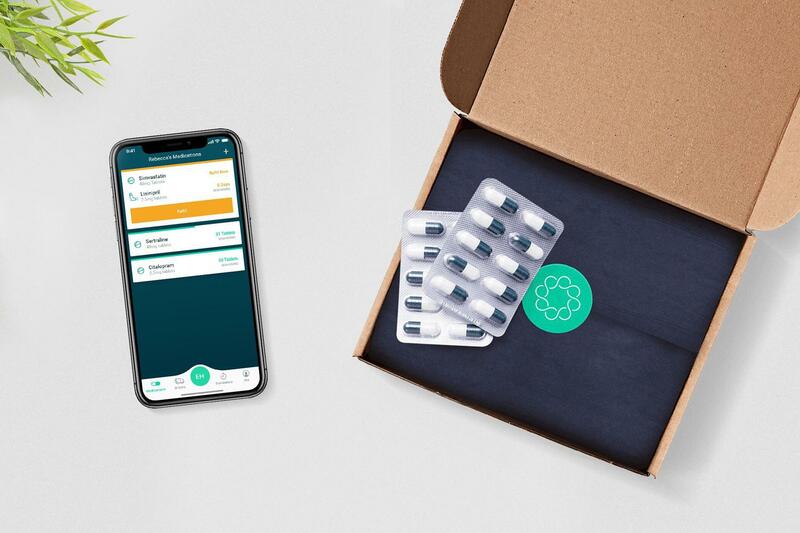 Whilst Kraydel is still in its early prototyping stages, it has had a positive response from big corporations, such as health insurance providers, as well as the NHS, who think the technology is necessary for today’s market. Cera raised $17 million in its Series A funding, whilst OnCare recently raised £550,000 in seed funding from investors including Zoopla’s founder Alex Chesterman and LoveFilm’s co-founder, Simon Franks. Both investors said they were interested in how the start-up was using technology to make the provision of social care easier and more effective. As the UK population continues to grow older, there are going to be more demands for social care. It looks like the technology saviours are arriving just in time. The trade union body said household debt rose sharply in 2018 as years of austerity and wage stagnation forced households to increase their borrowing. The level of unsecured debt as a share of household income is now 30.4%, the highest level it has ever been at. It is well above the £286bn peak in 2008 before the financial crisis, the TUC said. That figure also included student loans, but tuition fees then were £3,000 a year compared with up to £9,250 now. Public spending cuts and years of wage stagnation are key reasons for the increase in unsecured debt, the TUC said, adding that working families are on average worse off today than before the financial crisis. The rise of the gig economy and zero-hours contracts are also thought to be a significant contributing factor. O’Grady said the minimum wage, at £7.83 an hour for over-25s, remained too low and should be raised to £10 “as quickly as possible”. She also said too few workers had the power to bargain for higher wages, and trade unions must be given the freedom to enter all workplaces and organise collective wage bargaining. 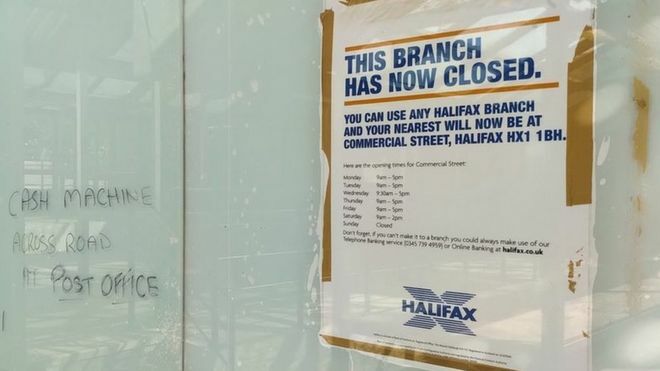 To compile its figures, the TUC compared the total amount lent in bank overdrafts, personal loans, store cards, payday loans and outstanding credit card debts. It also included student loans, which added a substantial amount to the figures. Graduates can now expect to leave degree courses with debts of £50,000, but are not required to make student loan repayments if they are not earning at least £21,000 a year. Its data shows that in 1998, households faced average unsecured debts of £5,456. A decade later, just as the financial crisis was starting, that sum had doubled to £11,146. Since 2008 households have been struggling with flat or falling incomes, at a time when prices have risen fast. In October, the Bank of England’s chief economist, Andy Haldane, said the rise of insecure work in the gig economy had fuelled a “lost decade” of wage growth in Britain. In the same month, the Office for National Statistics said the acceleration in wages growth seen in the middle of 2018 still left real pay £11 a week lower than it was before the financial crisis erupted. On a positive note it also reported that British pay was finally starting to rise faster than prices – at 3.1%. The TUC’s £15,385 debt figure does not include further debts incurred over Christmas, which would be expected to push the figure even higher, according to research published on Monday. The research found that workers expected to start the year with an average of £252 debt left over from the festive period alone. Shift and gig workers were hit hardest, putting £352 of festive spending on credit, according to the mobile app company Wagestream. Workers told researchers they feared they would not be able to pay off Christmas debts until May. 2018 has been a busy year for us at the Fair By Design (FBD) Fund. FBD’s goal is to eradicate the ‘Poverty Premium’ or the extra costs of being poor in the UK. Our colleagues at the FBD Campaign have recently devised a roadmap on how this will be achieved. The FBD Fund works alongside the campaign, investing early-stage in exceptional entrepreneurs with scalable tech solutions that tackle aspects of the premium. The ventures will need to deliver material savings to low income and vulnerable UK households, as well as an ability to scale rapidly in their respective markets. This is done across key areas including fuel poverty, financial exclusion, digital exclusion and food poverty, where those premiums are most felt. 12 months in, the FBD team has been truly inspired to meet hundreds of entrepreneurs from diverse backgrounds who share this conviction and understand the opportunities and challenges behind scaling an impact business. We’d like to take this chance to raise a toast to these fantastic teams and their support systems from key mentors to accelerator programs and co-investors. We are delighted that, in 2018, alongside some great co-investors, we have deployed capital into 7 businesses that we are incredibly excited about. 4) JobSkilla – tackles digital exclusion by providing unemployed people with access to funded training programs through its free online platform. Please ask us if you would like an introduction. We wish everyone a happy Christmas and New Year. The Fair By Design Fund team. 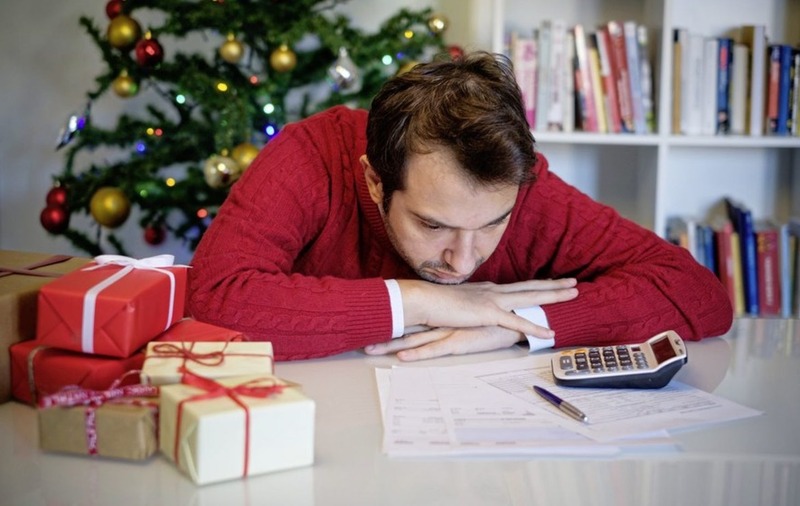 Figures from financial wellbeing experts, Wagestream have revealed the alarming financial stress that faces household during the festive season. A total of 89 per cent of those surveyed feel they can’t afford Christmas this year, while over three quarters (78 per cent) admitted to being worried, anxious or even depressed about the cost of Christmas, with nearly half (48 percent) worrying once or more a day about the cost. The most pressing money stresses for workers in Belfast are not being able ‘afford the type of Christmas that their family deserves’ (48 per cent) and ‘having to pay for everything’ (44 per cent). Most expect to pay around £582 on gifts, food and travel over the festive period, but 86 percent admit to almost always going over budget. Belfast residents expect to be paying off their Christmas debt for nearly four months, meaning they’ll be in the red until April. In order to reduce the unwanted financial street, respondents are looking for more support from their employer, with all stating they would do more shifts over the festive period if it meant they could access their pay as soon as they have earned it. “Being on top of your money means you are more in control of your life; it has a huge impact on your day-to-day wellbeing, including productivity at work. The Fair By Design Fund is committed to tackling the problems of financial exclusion that vulnerable, low income customers face, as illustrated in this report. FBD is seeking to invest in scalable FinTechs and other services that help low income families access the same resources as those that are better off, with the goal of eradicating the ‘Poverty Premium’ by 2023. Last week marked the end of year one of the Wayra-run Fair by Design accelerator programme and the event was marked by a celebration in the Houses of Parliament. Congratulations go to Incuto, We Are Digital and JobSkilla who are all poverty premium busting businesses. Watch the clip to see Andrew Rabbit of Incuto graduate. Wagestream is featured once again in The Times and this time by the legendary, Giles Coren. It is great to get a big 👍 thumbs up 👍 from such an influential journalist. The link to the full article is below. Here is to ending the “poverty cycle” of the average UK worker one day at a time. Ascension Ventures is looking for a full-time Marketing Manager with a focus on our Fair By Design social impact fund. A new automatic energy switching service that promises to move you whenever a cheaper deal comes along launches today. Weflip, from price comparison firm Gocompare, is a website that will continually search to identify a cheaper energy tariff – which it will then move you to. Auto-switching uses computer algorithms to track and identify potential savings based on your energy usage, meter type and current tariff. Campaign Director, Lucie Russell and Lis, one of our Campaign Ambassadors today gave evidence to the APPG on Poverty. Lis shared some of her experiences of living with the poverty premium, paying more for essential items and the knock on effects that has – including for childcare: “if work is a way out of poverty why are there still so many barriers for women”. The Fair by Design campaign has recently launched its Roadmap for ending the Poverty Premium. Co-Authored by a number of high-profile partners and supporters, the Roadmap makes recommendations for policy makers, regulators and corporates on how they can play their part in ending the Poverty Premium. You can download the Roadmap here. Today is the day the FairByDesign team launch our roadmap at the Conservative Party conference with a fringe event jointly hosted by Christians Against Poverty. Citizens Advice has revealed customers who stay loyal to their providers are losing out on over £4 billion a year. The national charity has today lodged a super-complaint with the Competition and Markets Authority (CMA), calling for the regulator to outline how the problem can be fixed. The practice of overcharging loyal customers is widespread and Citizens Advice has repeatedly warned that loyal consumers are being ripped off. The loyalty penalty is, on average, £877 per year – equal to 3% of the average household’s total annual expenditure. “It beggars belief that companies in regulated markets can get away with routinely punishing their customers simply for being loyal. As a result of this super-complaint, the CMA should come up with concrete measures to end this systematic scam’ says Citizens Advice Chief Executive Gillian Guy. The Government’s price cap in the energy market will bring down loyal customers’ bills by £75 per year on average. Citizens Advice analysis shows that excessive prices for loyal customers can be just as high – if not more so – in other markets. Citizens Advice have identified the scale of the problem in 5 essential markets – but it knows loyal customers are penalised elsewhere too. By submitting this complaint the organisation is asking the CMA to investigate all markets where the loyalty penalty exists. Because the sectors are so diverse there is no one-size-fits-all solution. The CMA will need to work closely with other regulators and the Government to ensure the right action is taken in each market. ‘The less money you have the less likely you are to be able to afford insurance, and if an incident occurs you are then hit over the head with a lack of money to cover the cost of its impact’. We agree with Charlie Halkett…it’s time to end the insurance Poverty Premium. Read her full article here. Ofcom sets out plans to stop mobile users paying for handsets they already own! The telecoms regulator has announced new proposals to stop mobile phone users paying for a handset they’ve already bought. But you don’t need to wait for a change in the rules – if you’re out of your minimum contract term, check now if you can switch and save £100s a year. The Ofcom consultation published today estimates some 1.5 million mobile phone users are still paying instalments towards a handset they’d already paid for. The regulator says it’s “unacceptable” that mobile providers are not transparent about the separate costs of a handset and airtime within a contract. It’s now consulting on two possible solutions. Mobile firms could be required to clearly break down the different costs within a contract – or they could even be forced to move customers to a cheaper default deal once their minimum contract term is up. Today’s announcement follows a major report from Citizens Advice last week, which found some mobile users pay up to £38/mth for a phone they already own. How could the rules change? Greater transparency on prices. This would require mobile firms to break down the cost of the different parts of mobile packages. The information would be provided clearly when you first sign up to a contract, and again at the end of the minimum contract period. This builds on Ofcom’s existing plans to require mobile providers to send customers alerts when their initial contract is coming to an end. 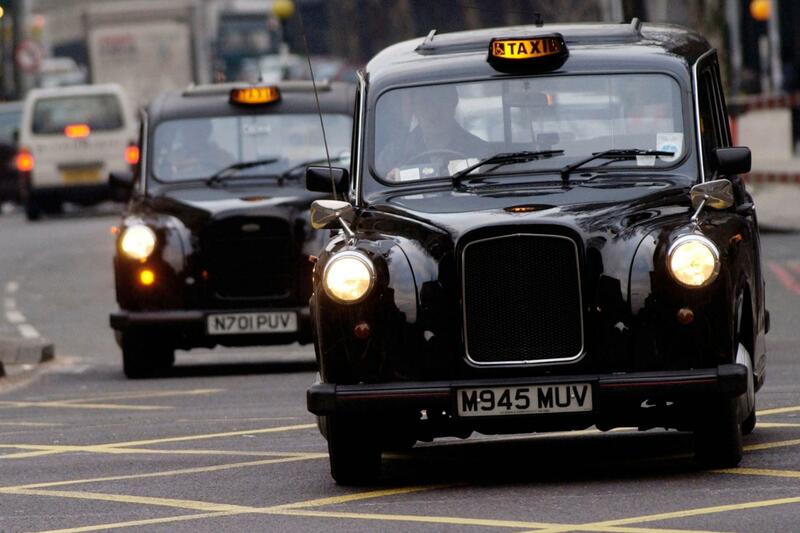 Automatic fairer tariffs at the end of the minimum contract period. This would mean mobile firms would move customers to a different ‘default’ deal when their minimum contract period ends, so they stop paying for their handset, and instead pay only for airtime. Ofcom will be seeking comments on these proposals until 7 November. It will then look at the responses and evidence before publishing detailed proposals in the New Year. We asked the regulator when the proposals could come into effect and it told us there were no definite timescales, but it could be “early next year”. In its report today, the regulator said: “While most customers receive good value for money, Ofcom is concerned that a significant minority continue to pay the same price after the end of their minimum contract period, often 18 or 24 months. We estimate that 1.5 million consumers are in this situation, and are still paying instalments towards a handset that they have already paid off. “We are also concerned that, when a mobile customer signs up for a bundled contract, providers are not transparent about the respective costs of the handset and the airtime. This means customers cannot tell how much they are paying for the different parts of their deal. Essex residents are learning how to make the most of the online world with brand new computer equipment. Sanctuary Housing has teamed up with Mitie’s property management business to provide Rayleigh & Rochford District Association for Voluntary Service (RRAVS) with £3,000 of laptops and tablets. These will be used for computer training courses teaching the basics of the Internet and email, the next of which will be held at Bell House scheme for older people in Great Wakering. The two-hour Computer Access Training sessions will run for five weeks and will also show residents how to edit pictures and use social media. 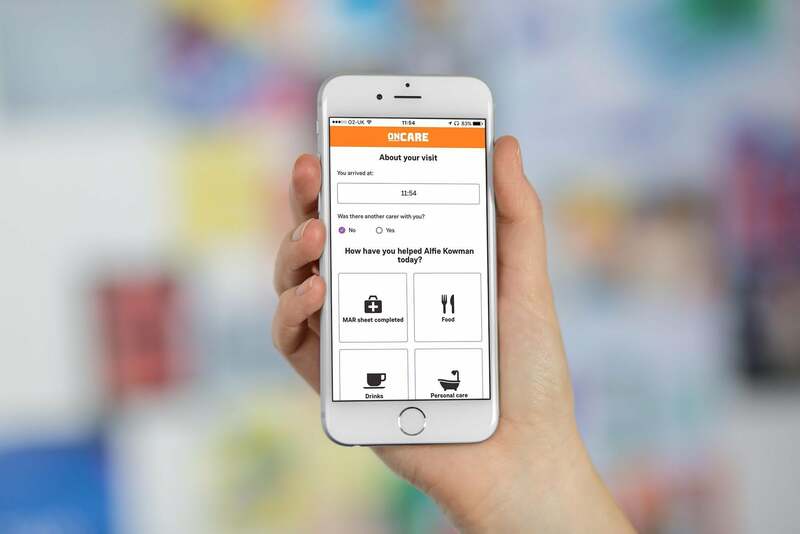 Fintech startup Wagestream, whose ‘Get-Paid-As-You-Go service allows workers to access their monthly wages in real-time, has launched its revolutionary service in the UK. The company aims to end the ‘payday poverty cycle’, and last-resort measures like payday loans along with it. The founders of Amazon and Microsoft have backed a London start-up that allows workers to access their wages before payday. “Get-paid-as-you-go” platform Wagestream has received £4.5m of funding from supporters including technology billionaires Jeff Bezos and Bill Gates. Wagestream, which aims to end the “payday poverty cycle”, allows employees to access money that has already been earned for a fee of £1.75 instead of waiting for a fixed monthly payday, and has been launched the week after the collapse of payday lender Wonga. Co-founder and chief executive Peter Briffett said: “As we mark the death of one of the payday loan giants, we’re pleased to finally present a viable solution to help give the UK’s workforce the financial freedom they deserve. 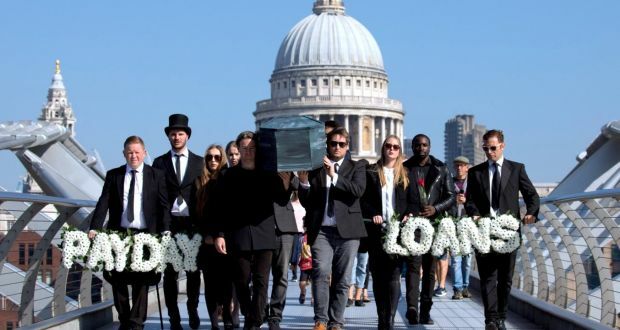 “While the wider and long outdated issue of monthly pay cycles is in desperate need of modernisation, for far too long legal loan sharks have been exploiting the most disadvantaged consumers with crippling high-cost loans. “By giving workers access to their earnings, they can prevent themselves from going into overdraft, credit card debt or the worst case, applying for a payday loan. Employers that have already partnered with the platform include Key Security and Fourth, who provide hospitality staff for brands including Travelodge, David Lloyd Clubs and TGI Fridays. Other investors include boutique venture capital firm Qed Investors, the London Mayor’s Co-Investment Fund, which backs the capital’s technology startups, and Fair by Design fund, which invests in companies designed to make an impact on the poverty premium. Andrew Rabbitt from Incuto, which develops financial technology for credit unions, said new tech could “make credit unions into community-focused challenger banks …. faster than a payday lender, more functional than a bank, and cheap”. Pitching his fintech to the ABCUL conference, he said it could offer new possibilities to the sector, such as partnering with the Post Office to offer branch facilities where members can deposit and withdraw money. “That’s the kind of stuff that fintechs can do, it comes with a bank account and sort code,” he said. “It allows you to connect in a really safe and ethical way with the people you want to get in touch with. The team at Incuto said ‘we are extremely happy with the launch and look forward to supporting the continual growth of the Scottish Police Credit Union’. Why low-income Americans often have to pay more. It’s expensive to be poor… An article from 2015, but still as relevant today. The Joseph Rowntree Foundation (JRF), launched the Fair by Design Programme on 9 November 2017 aiming to eliminate the poverty premium within 10 years. Backed by JRF, Big Society Capital and Nominet Trust, we’re delighted to announce that the management of the Fair by Design Change Programme will be taken on by Barrow Cadbury Trust from December 2017. Our bold ambition, to eliminate the poverty premium within 10 years, has two strands; the Venture Programme and the Change Programme, which tackle the issue from different perspectives and which we hope will together achieve our mission. The Venture Fund will invest in and accelerate businesses tackling the poverty premium, while the Change Programme, starting in April 2018, will encourage the eradication of the premium by working with corporate providers, policy makers, regulators and by raising awareness through public debate. A Director to manage the Fair by Design Change Programme will be recruited in the New Year. More details of the Fair by Design Change Programme will be available in early 2018. Our research partners, Bristol University, have today published their report ‘Making the Poverty Premium History – A Guide for Businesses and Policy Makers’. We are delighted to announce that Nominet Trust has boosted the Fair by Design Fund by £1m. Renowned for transforming lives with tech, Nominet Trust challenges themselves and others to think differently about the relationship between tech and society. Just over a year ago, the Prime Minister stood on the steps of Number 10 Downing Street and boldly committed to ‘tackle the burning injustices’ that impact low income communities. Since that moment a lot has happened, but one thing that has not changed is the existence of the Poverty Premium in Britain. The poorest in society still pay more for those basic goods and services that we all rely on compared to those who are better off. With recent economic trends such as an increase in the average household debt being racked up, this is not a problem we can ignore any longer. A recent academic study into the Poverty Premium, produced by the Bristol University Financial Exclusion and Poverty Unit, found that on average the Poverty Premium cost the households on the lowest incomes £490 per year but this cost could be much higher if people inadvertently made the wrong choices. For some, that amount is the equivalent of a month’s rent, or the cost of insuring their car for the year – necessary costs which many people take for granted. My colleagues at PwC and I have been working for over three years now with business, Whitehall and the third sector to encourage the development of new solutions to try to tackle the Poverty Premium – focusing specifically on the energy markets and financial services (we recently highlighted in our report with TheCityUK the role of the financial sector in meeting unmet societal needs). Telefónica-owned Wayra UK opens its latest tech accelerator programme this week, supported by a new multi-agency fund worth up to £20m with a focus on helping eliminate the ‘poverty premium’ by 2027. Wayra’s Open Future_ North facility is based in Oldham. A new tech accelerator programme with a focus on tackling UK poverty opens its doors in Oldham, Greater Manchester, this week – confirming the news of a fund supporting the programme reported in DigitalAgenda last month. Wayra Fair By Design will support up to seven tech startups a year across the north, based in the town’s Open Future_ North accelerator. It will back startups seeking to tackle the ‘poverty premium’, which sees people from low-income households paying more for the same products or services – including energy, insurance, borrowing, transport and food – than those who are better off financially. Wayra, the Telefónica backed accelerator network, is launching a new startup program in the UK that aims to tackle the so-called ‘poverty premium’ — whereby people on low incomes pay more for some goods and services. The program, called Wayra Fair By Design, will support seven startups per year, falling into four broad areas: energy (primarily electricity and gas); finance; insurance; and geo-based costs which can be imposed due to someone’s geographical residence, such as paying higher prices for food, transport and insurance. Wayra says digital exclusion may also factor in this category. Accepted startups can expect to receive around £70,000 in cash and services, including access to Wayra’s mentoring and investor network, as well as opportunities to work with Telefónica and its partners; and full access to co-working space at the Open Future_ North building in Oldham, which opens tomorrow. Wayra says the program will invest in a combination of Community Interest Companies and charities, as well as private limited companies, including tech businesses. Start-ups developing solutions to open up more affordable credit options would be ideal candidates for the program, it adds. The program is backed by a new investment fund — called the Fair By Design Fund — which Wayra says has £8 million ready to deploy now, and a goal of raising £20 million in total — to invest in companies tackling the poverty premium, both via the accelerator program and in separate investments across the UK. Funding is coming from a partnership between financial institution Big Society Capital, social policy research charity the Joseph Rowntree Foundation, investment fund manager Finance Birmingham and VC Ascension Ventures. The latter two will be managing the new fund. The fund will invest in companies from seed through to Series A stage and beyond, including seeking deal-flow and co-investment opportunities from other funds, VCs and angel investors. A new £15m venture fund for businesses working to eliminate the poverty premium is set to be unveiled next month, as a new accelerator programme opens in the English north to support tech startups working to reduce poverty at home and abroad. Julian Blake reports. Some cheer for the one in five UK citizens living in poverty. Early-stage VC firm Ascension Ventures is to manage a new £15m ‘Fair by Design’ fund, created to help eliminate the ‘poverty premium’ by 2027. Government statistics show that 14m people – more than 20% of the population – in the UK now live in poverty. The poverty premium sees people in poverty or on low incomes paying more for the same products or services than those better off financially. Ascension will run the fund alongside long-standing investment partner Finance Birminghamand others. Ventures supported by the fund will be working to eliminate the poverty premium across four sectors: financial services, energy, insurance, and food/household goods. The fund will support a combination of community interest companies and charities, as well as for-profit companies including tech startups. Since 2013 Ascension has invested, across four distinct funds, in over 40 early-stage companies across the UK. It has backed several social impact businesses, including Edukit, Flashsticks, GiveVision, Highbrow, Looop, Night Zookeeper, Percent and The Skills Academy. Ascension is recruiting for two roles to help manage the new fund – a programme director and an investment manager. Both will be based out of Manchester. Poverty isn’t cheap. A combination of effects, including being unable to take advantage of the cheapest ways and opportunities to pay for goods and services, means that low-income households pay an average of £490 more for essentials each year compared to households where money isn’t quite so tight. And that is just the average premium; for some households it is far, far higher. According to the study carried out by the University of Bristol, poorer households typically pay between £350 and £750 in “poverty premium” each year. Single-adult households were the hardest hit, followed by lone parents. While the £490 figure is a smaller amount than previous estimates – Save The Children had previously suggested it could be as much as £1,300 a year – it is a significant sum for just-about-managing families. The reasons for the extra expense vary, but they range across a wide number of essential goods and services – like paying to withdraw cash (£9 a year), using a pre-payment meter (£38 a year), using higher-cost credit like payday loans (£55 a year) and paying higher insurance premiums because of living in riskier areas (£84 a year). However, those are just the average costs. Depending on what services or products each household needs, the costs can be eye-watering. If a household is unable to qualify for mainstream credit then they may have to turn to a doorstep loan costing an extra £540 or a payday loan that costs an additional £120. Katie Schmuecker, head of policy at the Joseph Rowntree Foundation (JRF) explains: “Sometimes the preferences of, and constraints faced by, low-income consumers compound the problem – such as when people can’t afford to pay upfront for insurance and must pay extra to pay monthly; or the need to keep a tight control over a limited budget leads to the avoidance of direct debit, even though it’s usually cheaper. The poverty premium doesn’t just hurt the households it directly affects. By tipping just-about-managing families into poverty it costs the taxpayer a significant sum as well. Research from the JRF suggests that poverty costs the UK £78 billion a year, which translates into £1,200 for every person – equivalent to 4 per cent of our GDP. £1 in every £5 spent on public services goes towards supporting people in poverty or dealing with the fall-out. Ending the poverty premium was the foundation’s very first step in its recent ambitious plan to end UK poverty by 2030. Ms Schmueker elaborates: “Tackling the higher costs faced by lower income households is vital if we are to bring down poverty levels. To achieve this, Government should task regulators with identifying and eliminating poverty premiums in sectors like energy. We also need to see new products that are designed to meet the needs of people on lower incomes and, where this isn’t possible, provide other ways of compensating people for unfair additional costs. Reducing the cost of essential goods and services is as important as increasing incomes for reducing poverty in the UK. The less people must spend on meeting their needs, the more cash in their pocket. But unfair poverty premiums mean the poor are paying more for some essentials, exacerbating poverty and straining the budgets of the just about managing. New research by Bristol University has laid bare the scale of the poverty premium for the first time. They estimate that on average the poverty premium is costing low-income households £490 per year. This research enables us to quantify for the first time the number of households subject to different types of poverty premium (see table). Some premiums seem inconsequential, such as paying an extra £5 per year for a paper copy of an electric bill because you’re not online, or find it easier to keep on top of your budget with a paper copy. Others are eye watering, such as paying £540 over the odds for a doorstep loan because you can’t access mainstream credit or an additional £120 for a payday loan. In the UK the poverty premium, the idea that poorer people pay more for essential goods and services, has been highlighted as an important social policy concern for low-income families. This 2016 study revisits and advances earlier research conducted in 2010 by Save the Children. It reflects markets and household behaviour as it exists today, and, for the first time, explores how manylow-income households are actually affected by the poverty premium, and by how much. Cliff Prior CBE is Chief Executive of Big Society Capital. Prior to that he was CEO of UnLtd, the UK Foundation for Social Entrepreneurs. UnLtd has supported 13,000 people to start new social ventures. Before UnLtd, Cliff was CEO of Rethink, the charity for people affected by severe mental illness. His earlier career includes work in counselling, youth, civil rights campaigning, social housing, supported housing, community care, offender resettlement, learning disability, dementia, research and development, and mental health. Cliff is also a founding trustee of Clore Social Leadership, a non-exec at health innovation agency UCLPartners, and Comic Relief’s UK Grants Committee. He chaired the mission alignment group for the G8 Social Impact Investment Taskforce. He has been an adviser to Government on health and medicines regulation, NHS modernisation, skills, and civil society.